When it comes to Hillary Clinton and Bernie Sanders, there are so many ways to compare the two leading Democratic candidates for president. You can look at their voting records in the Senate; you can contrast their performances at the Democratic primary debates; or you can even follow them on Twitter to judge who has the wittier tweets — just please don't compare their commitment to women's rights. Ultimately, it shouldn't matter whether Clinton or Sanders is the "better" feminist — what's important is that they're both willing to identify as feminists at all. You know, I'm always a little bit puzzled when any woman of whatever age, but particularly a young woman, says something like — and you've heard it — "Well, I believe in equal rights, but I'm not a feminist." Similarly, Sanders has identified publicly as a feminist. To his knowledge, he has a 100-percent pro-choice voting record, and he advocates for raising the minimum wage in part because it will provide a foundation for equal pay. According to his campaign website, Sanders even promises to appoint only Supreme Court justices who support Roe v. Wade. In all honesty, it wouldn't be difficult to go back and forth — and then back again — on things each of the candidates has done to support women's rights. But here's the thing. We shouldn't be going back and forth at all. Feminism isn't about keeping score, and it certainly isn't about separating winners from losers. The most fundamental part of feminism is the core belief that women and men — all humans, essentially — are equals. Think of it this way: What do we have to gain by scoring Clinton and Sanders based on their dedication to women's rights. They're arguably the two loudest proponents of women's rights in the presidential race, Republican or Democrat, and if we can't even celebrate that, then how do we expect to unite around any issue? If you're going to base your vote in the Democratic primaries based solely or largely on women's rights, then you can't go wrong with either Clinton or Sanders. If you're going to claim that either Clinton or Sanders is a "better" feminist than the other, for whatever reason, you're inherently saying that one of them is a "worse" feminist. A "worse" feminist shouldn't be a thing — because, really, is there a such thing as bad feminism? No, there shouldn't be. Over years and years, the term "feminist" became nothing better than a four-letter word. Now, we've entered an age, fortunately, where it's socially acceptable to identify as a feminist — and we'd be foolish to turn that progress into a game of keeping score and judging others for how they choose to express themselves. 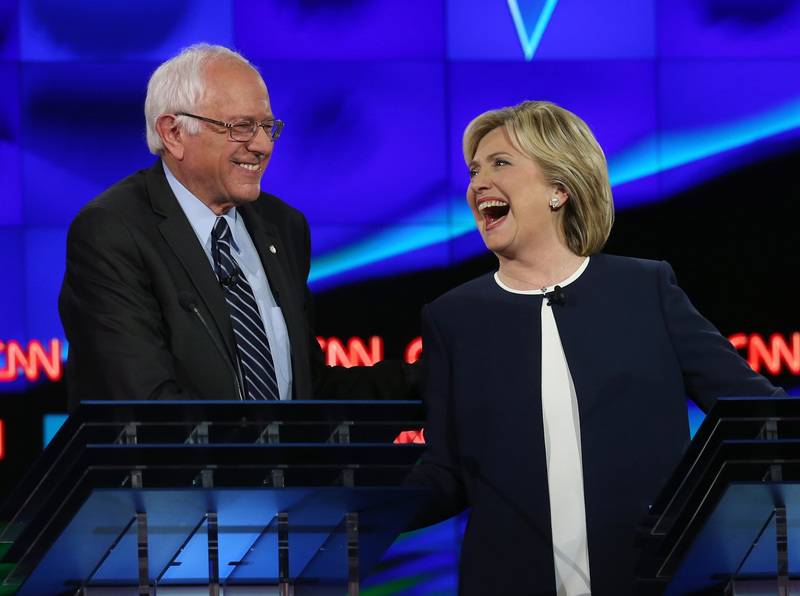 Clinton and Sanders are both feminists. They've both become loud and powerful supporters of women's rights throughout their careers. It would be a shame to dampen the work done by either of them by calling one of them a "worse" feminist.